Please refer to the handicap computer at the club to begin posting scores. You will need your local number or you can look up your name on the computer to find your local number and GHIN. Once you have found your local number, you can then use this at the club's handicap computer to post scores. You can begin posting scores right away. Complete instructions on how to post scores at the handicap computer are located on the bulletin board across from the handicap computer. You will use the website Tournament Signup System to sign up for many of our tournaments. 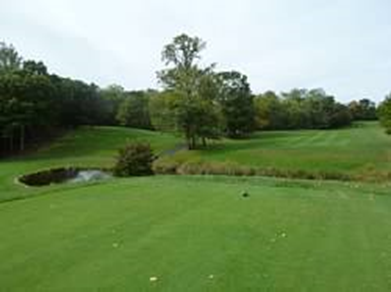 Unless there is an entry fee into the event, such as the Fall Scramble or the Member-Member, players can sign up for an event via the club website. Notices as to when tournaments will utilize this procedure will be posted on the tournament schedule. Complete instructions on signing up online for events can be found on the Online Sign Up section. Players must post all their scores, especially in tournament play. Players who do not post their score, or who do not post the correct score, will be subject to penalty scores by the Handicap Committee. For new members who have just signed up for their membership to the Men's Club, please be patient, the approval process can take up to 4 weeks. The Men's Club board approves all new members at their monthly meetings. So, if you signed up for your membership the first Thursday of a month, you may not be able to activate your handicap in the computer until the first Wednesday of the following month. For members who have not renewed their memberships by May 1st, your handicap can take up to 4 weeks to reactivate in the computer. If you have any questions regarding the handicap signup process, please contact our Handicap and Membership Chairman.